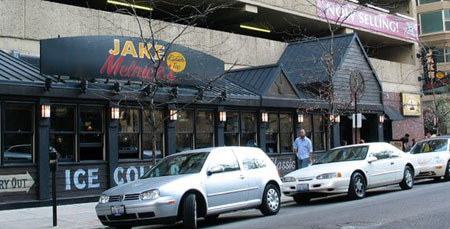 JAKE MELNICKS CORNER TAP is one corner sports bar that you do not want to pass up. Beer and wings? What's not to like? The atmosphere is dark and comfortable, not like those trendy new sports bars that are so bright and loud that you feel like you're on display. Just ease on back into one of the comfortable seats and enjoy the high quality pub service! Buffets are held on certain holidays such as Thanksgiving, and for just a little more than twenty bucks you can completely satisfy the heartiest appetite! 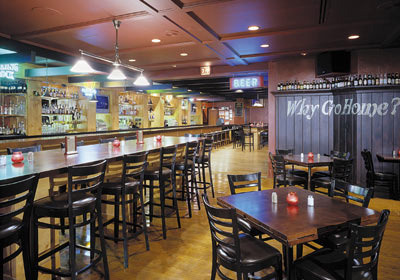 Tons of TVs so you never have to miss the game that you want to see!